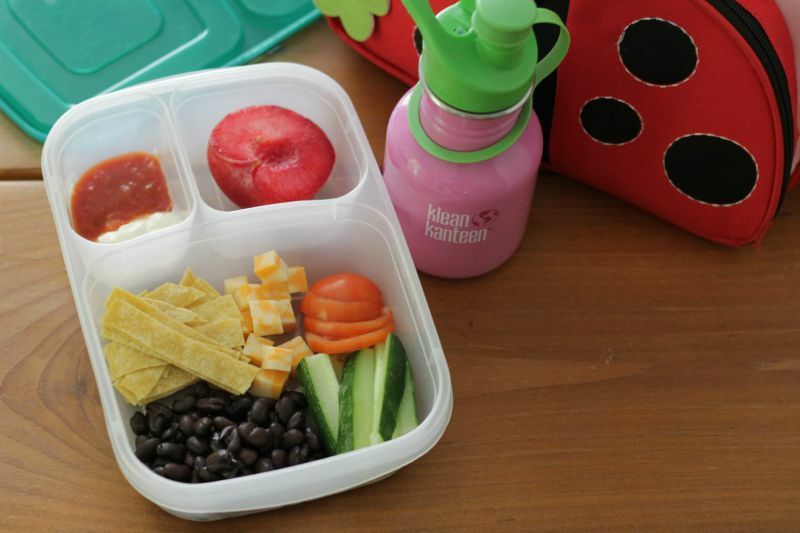 So happy to have Amy of Yummy Toddler Lunch back sharing another healthy lunch option with us! 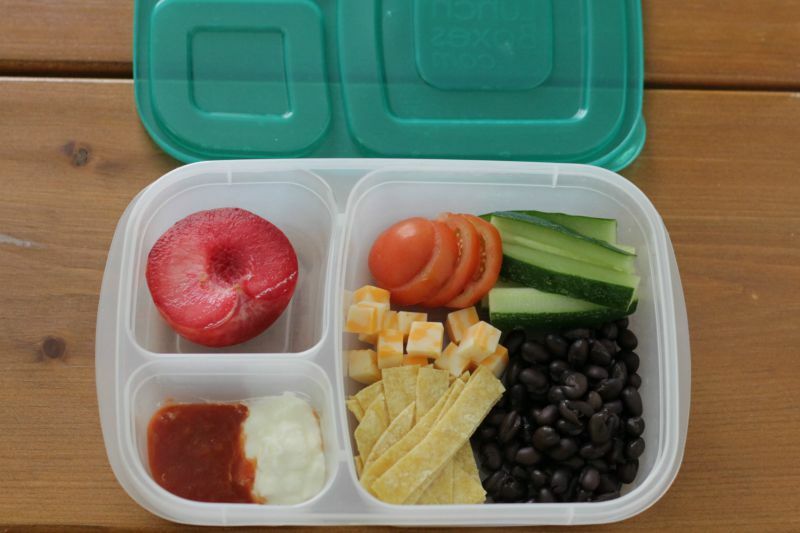 Amy has created an eBook, Yummy Toddler Lunch, filled with ideas for healthy packable lunches and is sharing one from her eBook below. This one is must have for back to school! Welcome back, Amy! Whether you work, stay at home, or do some combination of both, chances are that there are days that you need to pack lunches for your kids. And while it can be a totally daunting prospect, I’ve found a few ways to make it a lot easier. I was really overwhelmed when I started packing food for my girl to take to daycare at 14 months. Despite knowing how to feed her at home, it was more complicated to pack it all ahead of time and to trust that she would eat well even when I wasn’t there. And as she grew older and more aware of what the other little kids were eating, I felt pressure to make her lunches AWESOME to ensure that she’d eat them. Looking back, I really over-thought things and made the whole process of packing lunches a lot harder than it needed to be. 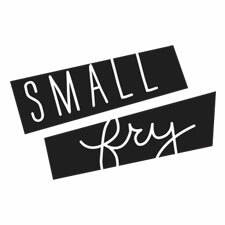 There is always some dynamic of peer pressure at the table, whether with other kids or parents, but overall, I’ve found that toddlers tend to behave really well when it comes to eating their lunch in a daycare setting. Since then, I’ve put together a collection of strategies in my Yummy Toddler Lunches ebook to help us all pack lunches that are wholesome and yummy, but that are super easy to assemble—like this deconstructed taco salad. The beauty of this sort of assembled lunch is that even if your little one isn’t in the mood for one of the ingredients, they will still have plenty to eat. Plus, it takes just a few minutes to put together, so the prep work on your end is super quick and really painless. It’s also yummy served right out of the fridge, which is a bonus if your child’s center isn’t able to heat foods up. I have 100 ideas for these sorts of simple lunches in the ebook, plus 15 toddler-approved recipes for snacks, dips, and simple sauces, all in an effort to make this part of parenthood a lot easier for all of us. 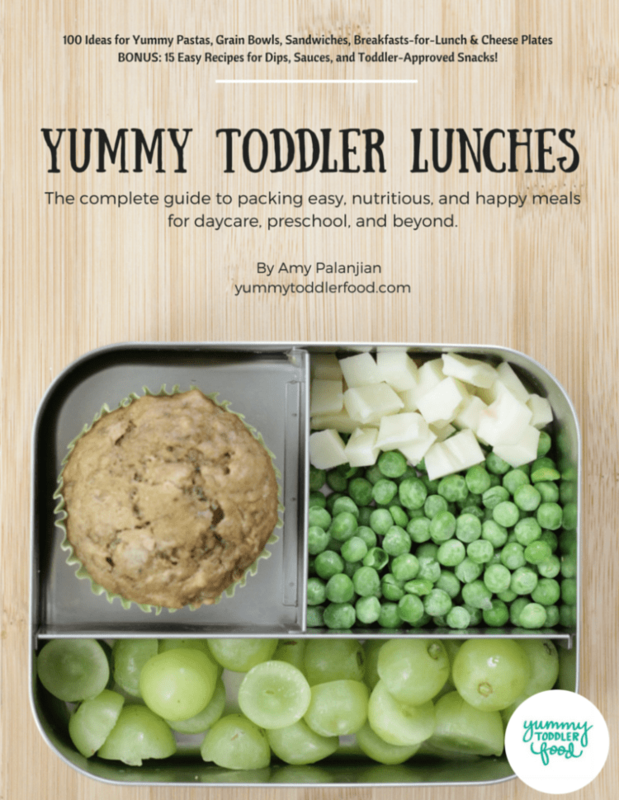 Find out more about the Yummy Toddler Lunches ebook here. The lunch box pictured here is an Easy Lunchbox, which is sold in a set of 4 and makes packing lunches super easy. I just downloaded mine! I am MOST excited about the cheese plates! So many exclamation points!